In our experience, the key is to work with a partner you can trust, who can offer quality solutions whatever your needs and genuine expert advice. After all, most people don't buy a wood floor every day and having someone who really knows what they’re talking about to help you through the process makes all the difference. So, here are 10 reasons why we believe Broadleaf is that partner. We are not just passionate about real wood, we are real wood specialists, with real expertise. Our team have been buying timber and making flooring for over 25 years. They worry about those things that affect a wood floor’s performance that you can’t see - timber species, grain, the way it is dried and machined and more - so that you don’t have to and our flooring is the best available. We don't just sell floors, we make floors, here in the UK. 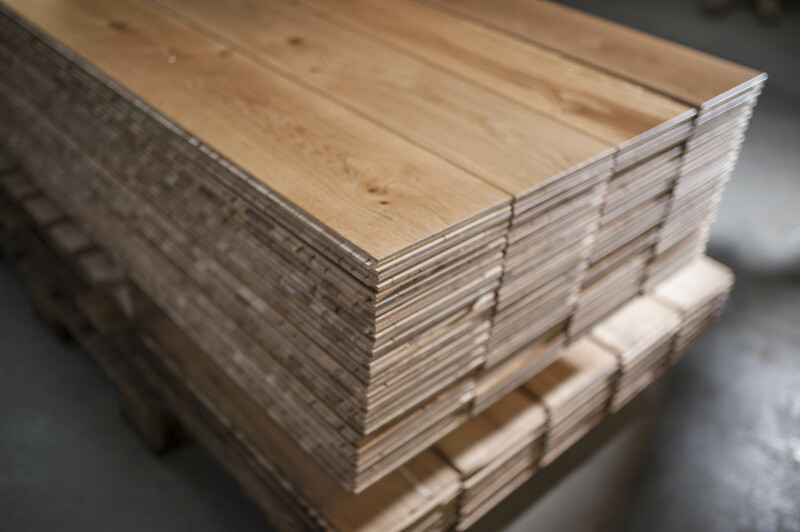 Every Broadleaf floor passes through many expert hands and each detail from the humidity of the timber to the colour of the final floor is meticulously checked to strict British standards before it leaves our warehouse. As well as assuring quality, being UK manufacturers means that we can also offer unrivalled choice and flexibility. Whether you need solid or engineered flooring, plank or parquet, wide or narrow, between our current collections and extensive archive we have literally hundreds of options. We are proud to have won various industry awards over the years including most recently, Best Wood Flooring Manufacturer UK 2017 and Best Wood Flooring Retailer UK 2018. Broadleaf are committed to promoting responsible forestry, it is our lifeblood, and we only source our timber from responsibly managed, European forests, most of which are PEFC or FSC certified and have been visited by us. All Broadleaf floors are finished with hard wearing, commercial grade wood finishes, so you can be confident of the same level of performance whether your project is a family home, Jamie's Italian or the T5 Business Lounge. As manufacturers, innovation and design are part of our everyday. We don't just make our floors, we design them, to be beautiful and practical, to stand the test of time, and to meet the spectrum of design styles. In our inspiring showrooms you can see, and walk on, large areas of flooring, see how floors evolve, talk to our knowledgeable team and see the Broadleaf difference for yourself. Although we don't have showrooms within reach of everyone yet, if you can visit one we are confident it will be worth the effort. Broadleaf is a family business, based on family values, run by a founding husband & wife team. We are proud to include within our ranks our two brothers and many long serving staff, including several other family groups. We take a personal approach to all of our clients and work hard to make sure that everyone receives first class customer service. 70% of our business comes from recommendation and referrals, a statistic of which we are very proud and which we hope speaks volumes. Convinced ? We hope so and that you will continue to browse our award winning wood flooring collections to choose your Broadleaf wood floor.